Like most of the horse owners in the United States, Nate Priefert, Executive Vice President of Priefert Manufacturing Company, never thought “it” could happen to him. Like many victims across the nation he has turned to Stolen Horse International, aka NetPosse.com for help. 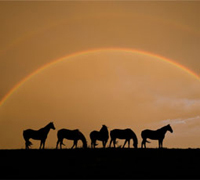 Now, NetPosse is seeking help from its supporters to help continue the work of reuniting horses and owners. Once again it is time for Stolen Horse International’s annual fundraising auction and they are in need of items to auction. This is NetPosse’s biggest fundraiser of the year and sets the pace for the work that will be done in 2011. Stolen Horse International, a 501(c)(3) nonprofit organization, brings forth educational programs like no other organization in the horse industry. NetPosse’s victim’s service programs have helped change the lives of missing horse victims around the world. The organization is small, but the need for its services grows more and more each year. NetPosse is asking supporters to donate a product, a gift certificate or a service to this year’s auction. For more information about this event, auctions or to access an auction donation form, click here, or go directly to the online auction form here. This is an excellent opportunity for supporters to not only help victims of horse theft, but also a way to introduce horse-related businesses to a new audience. Last year, the auction raised over $6000, and was promoted by over 10,000 email notices through NetPosse’s newsletter and Internet networks, and the auction was viewed by thousands. Items can include equine-related gifts, artwork, leatherwork, photographs, tack and horse products, books and DVDs, clothing, jewelry and clinic tickets. The first auction items will go up on the auction block the middle of November with the auction ending around the first of December. The auction is held online in the nonprofit in eBay’s nonprofit Misson Fish program. For more information, contact Debi Metcalfe, president of Stolen Horse International, at stolenhorse@netposse.com or 704-484-2165. Items can also be brought to Stolen Horse International’s booth at the Virginia Equine Extravaganza, October 29-31, and Equine Affaire in Massachusetts, November 11-14. I hope my horse is never stolen. Microchipping does help.